With the above in mind, it seems perfectly fitting to shine this month’s Dev Spotlight on Ueda. If the creator of the three games mentioned above is working on a “big game,” then it is important to emphasize the sheer talent of the man working on it. Fumito Ueda’s games are very distinctive; according to Giant Bomb, Ueda describes the methodology behind his games as “design by subtraction.” This rings true in relation to all three of the epic designer’s games to date, as all of the game make use of a minimalist aesthetic in relation to lighting and space. All three games also feature almost no dialogue, as well as leaving parts of the fragmentary dialogue that does exist untranslated. A lot of this can be attributed to the fact that Ueda’s approach to design is similar to that of an auteur, such as Hideo Kojima, who we looked at back in August for the unofficial debut of Dev Spotlight. Ueda’s games align perfectly with his own vision for them, which is why the development cycles can extend past several deadlines before the game comes to fruition. The most infamous example of this was The Last Guardian, which debuted an entire generation after it was scheduled to. However, Ueda’s artistic integrity is the reason as to why these delays occur; before his games even contain a story, they must contain something that is mechanically interesting enough to have a story attached to it. His games may seem ambiguous, but their thematic depictions of death, loyalty, fear, and loneliness are made all the more potent for this. His games are composed of raw emotion that seeps through the cracks in the fragmentary narrative. I enjoyed catching and keeping living things, such as fish or birds. Other than that, I liked both watching and making animation. Basically, I seemed to be interested in things that moved. If conversation had been possible, the player would wish to control Yorda via conversation. I thought that taking one’s hand was more meaningful since conversation would be difficult to implement. Therefore, the game is not about good versus evil. Ico has his own reasoning and the queen has hers, too. I wanted to leave the decision whether what Ico did was right or wrong to the player. Lemmings impressed me, as I sensed life on the TV screen for the first time in my life. I often import games from abroad and play them. On such occasions, my imagination sometimes gets stimulated more, as I don’t understand the language. 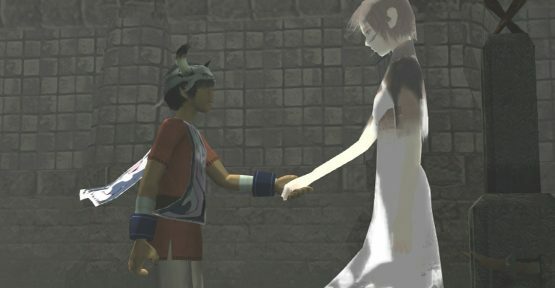 Ico is a game that intentionally tries to achieve that. 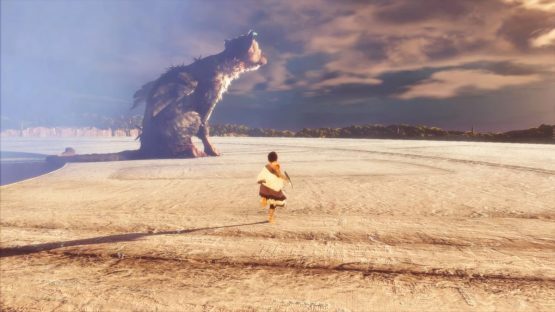 Like the infamous Dark Souls director Hidetaka Miyazaki, Fumito Ueda became aware of the enchanting power of stories told in a language that is not his own at an early age. When the language is not there, the words are just arbitrary sounds, devoid of meaning aside from that conveyed by intonation alone. The person being told the story must rely on other communicative media, such as light, space, and the very objects that constitute the world of the story. Every story is a minimalist story if the person on the receiving end is unequipped with the means to understand the language. By realizing this, Ueda learned how to tell a compelling story in a way that deliberately left a massive amount of room for interpretation, as half the importance of his games is based on the imagination of the person playing them. 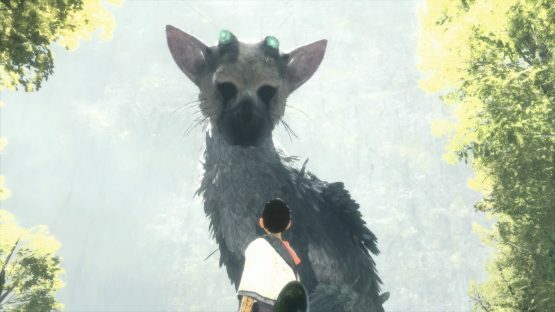 In an industry where every developer packs in as many new features, as many modes, options, and configurations, The Last Guardian has no upgrades, no leveling, no add-on map packs, no RPG elements—it is an almost solitary experience, between nothing more than a boy, a beast, and the big world around them, yet it outshines nearly everything else. This perfectly captures what makes Fumito Ueda’s stories so special. They aren’t like anything else, because they’re better than everything else. Why? Because they remove every single thing that a player could potentially use as a crutch and say “walk.” The beauty of Ueda’s games is in their emotional integrity, their abstract delivery, and their intellectual honesty.